This week on Friday Feast it’s my great pleasure to host Regency historical romance author Anne Gracie. I have a lot to thank Anne for. It was during one of Anne’s tutorials at a Romance Writers of Australia conference that I experienced the light bulb moment that changed the way I wrote. 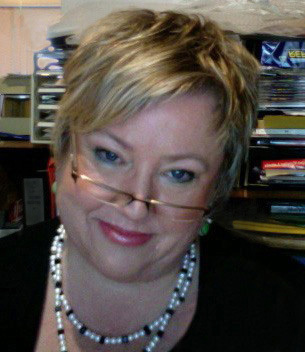 So I’m thrilled to welcome Anne today and unashamedly pimp…er…promo her books. Mind you, she’s also about to share something deeeeelicious, so it’s a win-win all round. Now, I know it’s unlikely but it’s possible you may never have heard of Anne Gracie and her wonderful Regencies, but I bet you’ve heard of the TV series The Tudors. Well, Anne’s responsible for the novelisation of the smash-hit series. Impressive, huh? Yes, we’re talking one seriously talented lady here. A talent perfectly reflected in her latest release, Bride By Mistake. Eight years ago, Lieutenant Luke Ripton made a hasty wartime marriage-in-name-only to protect a young girl from a forced union and left her protected in a remote mountain convent. Now, Luke is Lord Ripton, but he has been unable to obtain an annulment. Which leaves him no choice but to collect a wife he doesn’t want. For eight years Isabella has waited like a princess locked in a tower, dreaming of her handsome, dark-eyed prince. Her dreams are shattered when Luke reveals himself not as a prince, but an autocratic soldier, expecting her unquestioning obedience, which is something Isabella’s fiercely independent nature will not tolerate. Hooked? I bet you are. You can find more information on Bride By Mistake, including an extract, on Anne’s website. And don’t forget to check out Anne’s other books. I can highly recommend her Perfect series. They’re utterly delightful! Oof, have a look at me rambling on like the besotted fan-girl I am. It’s time I welcomed the lady herself. …. or not, as the case may be. So I cast around for something a bit different, on which I could actually offer something. And I thought, I know the secret of gnocchi. It’s not precisely my secret however; it was given to me, many years ago, by that goddess of romance writing, Helen Bianchin. I still remember my first taste of gnocchi. I was a student, and a group of us had just got back from a camp. We were damp, cold, tired and hungry, and, since we all lived in students digs, nobody was home to make us dinner. So we went over the road to one of the many cheap, delicious Italian restaurants that Lygon St in Melbourne is famous for. The others had pizza or pasta, but I thought I’d try gnocchi. It was delicious; little oval dumplings of potatoey goodness soaked in rich tomato sauce and topped with cheese. Heaven on a dish. After that, I’d tried to make gnocchi myself, with conspicuous lack of success. I invariably produced little rubbery chewy things. Horrible, stodgy bullets. I tried making different kinds of gnocchi — semolina (yum!) pumpkin (delish! 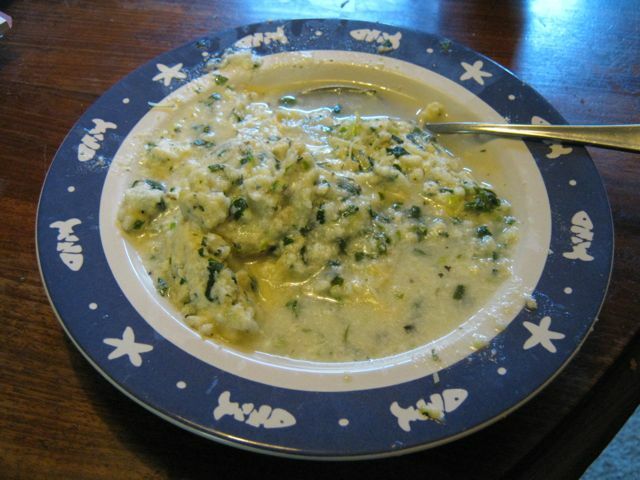 ), spinach and ricotta (fab!). They all tasted delicious, but whenever I tried to make potato gnocchi — disaster! I tried different kinds of potatoes, tried using bread flour instead of ordinary. Still horrible. One day I happened to mention to Helen Bianchin that no matter what recipe I followed I always ended up with hard little rubbery lumps. Helen, being a goddess of Italian cooking, as well as romance writing, checked my recipe. Yes, I used old, floury potatoes. Yes, I had mashed the potatoes well, even tried pushing them through a sieve. No, it wasn’t too wet a mixture. I assured her that I’d kneaded the mix really well, as the recipes had said, until the dough was smooth. So the next time I made potato gnocchi, I treated the mix like scones, mixing it just barely together before forming the little gnocchi balls. And it was brilliant. From then on, my potato gnocchi have always turned out as they should, and every time I serve up a successful batch, I mentally thank Helen. So the plan for this blog was to make up a batch of yummy potato gnocchi and take some pics. The trouble is, I’ve been doing a course all week, and going out to dinner after it, and not getting anywhere near shops, and I have no potatoes. 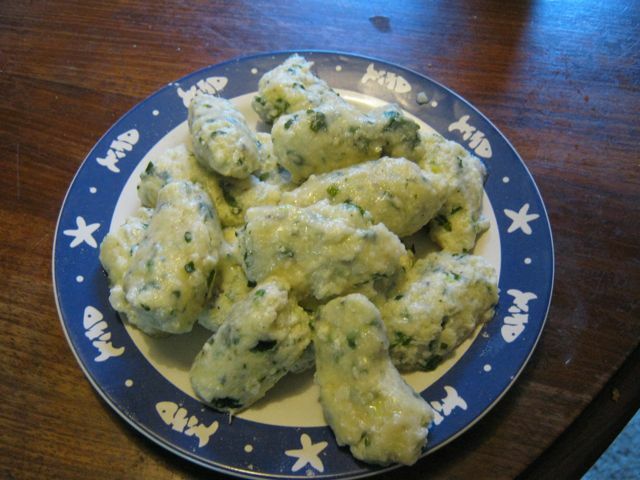 Then I remembered how much I like other kinds of gnocchi, and thought, why not share the spinach and ricotta recipe I use so often? It’s quick and dead easy and delicious. I love it especially at this time of year as I make a variation with lots of fresh basil and pine nuts. It’s light and herby and fresh-tasting, filling without being heavy. But though I had fresh basil and spinach growing, and I always have pine nuts on hand, I didn’t have any ricotta. I usually buy it fresh, by the wedge, from the market, but because of this course, and the going out afterward, I couldn’t get there in opening times. Then late last night, driving home past the late night convenience store, I had a brainwave. I whizzed in and sure enough there was ricotta in a 250g tub. Perfect. Or so I thought…. When I opened the tub an hour ago, it looked nothing like the ricotta I was used to; it was smooth, as if it had been whipped. But I carried on regardless. I steamed a handful of spinach and chopped it finely. I minced up some basil and a couple of spring onions, and I mixed it all into the ricotta with an egg and some parmesan, salt, pepper and nutmeg. All as I usually do. The mix was a bit looser than usual, so I mixed in a bit of flour, and formed the little dumplings — again, as usual — a spoonful of the mix, lightly rolled in flour. This was NOT the plan. This is my foolproof and delicious herb gnocchi recipe! These gnocchi were supposed to be firm, tasty and delicious — fit for a foody blog!— not limp blobs in a loose savory custard! The remaining lumps tasted all right, but they looked… well, this is how they looked. So I dug out another egg, and mixed in some dried instant potato (I keep it on hand to thicken stews.) I tipped out the milky brew and boiled up another batch of salted water. And lo, this time the gnocchi stayed together. This is how they looked. I usually serve it simply with melted butter and parmesan and some pine nuts, put under the griller for a few minutes so the parmesan melts and goes toasty, or for something a little more substantial I’ll make a rich tomato sauce, or maybe mushrooms. But this lot is going in the freezer for another day. And the moral of the story is… use the ingredients you know and trust. And also, be flexible. The second lot of gnocchi with the instant mashed potato tastes lovely even if it wasn’t what I’d planned. But here’s the original recipe — it’s a variation of an old one from the Women’s Weekly. 5 or 6 large spinach leaves, steamed, squeezed dry and finely chopped. Fresh herbs– basil, parsley, mint, whatever, finely chopped. Mix together, form into little balls, roll in flour, and slide into gently boiling salted water. They’re cooked when they float to the top, a minute or two. Lift out and put in heatproof dish. When all are cooked, dot with butter and extra parmesan and pine nuts and bake for a few minutes until cheese is toasty. Or pour over a sauce of your choice, and bake a few minutes until heated through. So there you are; the secret of gnocchi, the tale of a gnocchi disaster and a recipe that I promise you normally works beautifully. As long as you don’t have strange ricotta. Do you remember the first time you ate some delicious food? Have you ever taken a tried and true recipe and had it fall apart on you when you least wanted it to? Ahh, this reminds me so much of my first gnocchi attempt. It was like eating a plate full of rubber super balls. Urk! Thanks, Anne, for such a wonderful, fun post and for sharing your secret. No excuse for rubbery gnocchi now. And I couldn’t agree more about using ingredients you know and trust. So important with cooking. If you’d like to learn more about Anne and her wonderful Regencies – and I’m sure you do – please visit her website. You can also keep in touch on Facebook, Twitter, her personal blog and with the WordWenches group blog (which is fabulous, by the way). Now fess up. Like Anne, I want to hear your tried and true disasters. I can’t be the only one who’s suffered this embarrassing fate! This entry was posted in Friday Feast and tagged Anne Gracie, Australian Writers, Food, Friday Feast, Recipes, Romance Writers of Australia, Romance Writing on January 27, 2012 by cathrynhein.